The battle over the West Douglas herd is nearly two decades old, and only through the efforts of concerned citizens and organizations have the horses been saved from the BLM’s desire to remove them all from their homelands. In 2009, concerned citizens and organizations won the first case in the United States against BLM’s practices of eliminating wild horse herds when Judge Collyer set aside BLM’s 2008 roundup plans. In 2010 advocates again sued the BLM and the BLM withdrew its plans to decimate the herd. 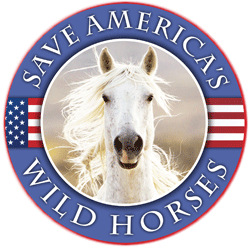 Plaintiffs in this action include, Habitat for Horses, Front Range Equine Rescue, The Cloud Foundation, Colorado Wild Horse and Burro Coalition, Dr. Don Moore, Toni Moore and Barbara Flores who are collectively supported by the Wild Horse Freedom Federation. Wild Horse Freedom Federation (WHFF) is a registered, Texas non-profit corporation with 501c3 status pending. WHFF puts people between America’s wild equids and extinction through targeted litigation against governmental agencies whose documented agendas include the eradication of wild horse and burros from public, federal and state lands. Front Range Equine Rescue (FRER) is a 501c3 non-profit organization working to prevent the abuse and neglect of horses through rescue and education. What day was this decision rendered RT? Could this be used as some sort of precedent or is this a decision applicable only to W. Douglas? Regardless congratulations on this news! I agree and would be interested in anyone’s response. Can’t this court decision be used or viewed as precedent setting? At last, a judge with compassion and knowledge about the wild horses and the protection they deserve. So great to hear, and pleased. I’ve asked this before, but why is it that this judge gets it and the other trolls don’t? Now this makes my day!!! Onward to saving them for good! Fantastic. Congratulations to all involved in this long haul action. we are all behind you 100%. Fantastic win, we must not back down. Legal protection must be in place for all of our wild horses rights and freedoms to roam free. This is good news. We have so much work to do and continue on, press on we will win and have more victories for our wild horses and burros and save them. We must do this for them. We are their voices out there. We must speak out and protect all of them that we have left. Our family wild bands and burros are precious to us. We will prevail. amen for our horses. We need more legal people on our horses side. Protecting and defending one horse and burro at a time. Thank you for this news R.T. Fitch and everyone who is helping with this situation. Yes, yes, yes. We will conquer, we must. I have never heard of The Wild Horse Freedom Federation. Please provide more information. I have just been to the website. No members are listed. Janet your not crazy. They are a NEW Wild Horse Saving Org as of yesterday, so keep on looking. I have not been able to open their website but I’m sure RT will have it up and running soon. And I would like to encourage all of you to donate so they can get more funds to help fight the BLM and keep our wild horses and burros free on the range. Thanks RT and the whole crew. We are behind you! Judge Rosemary Collyer’s positive stance for our horses ought to be a precedent for others to get a grip on the present situation and how their involvement for the horses is a necessary step in the mustangs’ preservation. I think this judge ought to hear from all of us with a thank you and the gratitude her actions deserve. Also thank you all who set the stage for this and your persistance. Let’s hope we see the day when other wild horses and burros will get their rightful benefit of such insight and fairness. Federal government must abide by federal law… yet we know the rest of the story. Keep up the good work, all. Thank you. Wonderful news! Makes the battles worth fighting! Way to go RT and Terry and….. ? I am with Janet Fergusen; Do tell more!! They are associated with HFHAC Advisory Council — I realized after I posted, above. See logo to right of R.T.’s blog pages. . .
Press release will be forth coming; we let this out a little early due to it’s importance. We promised you good news this week and more is coming. Went over to the new site. Will keep checking in. Thanks for continued good news and of course we are all on board to help. It is great to have something GOOD to look forward to!!! What great news we can finally sink our tetth into, and set precedent;and get those scardy judges out in the open. Congratulations, R. T., Hillary, et al, so good to hear this. Thanks so much for your hard work and leadership. Judge Rosemary Collyer, a female judge…. and our hope for the future! A woman for President? If not Hillary, then someone else with some sense and some decency, along with morals, integrity and some vision for a peaceful and lawful future! I am blind to gender, race, creed or political affiliation, it’s all about putting your money where your mouth is and this present administration is NOT running the game plan that was promised. Whoever can do the job with strong ethics, conviction and a decent track record will get my vote. Compassion for those who cannot speak for themselves SPEAKS volumes! I hope someone involved in any litigation could explain why something is working in the Collyer court, but not in the others. I would really appreciate a breakdown on the differences because it is hard for me to follow the wins and failures in relationship to the overall issue, exterminating wild equines. Denise, you have a great sense of the ironic. Janet, Mar: Thanks for the input. To Mar….last I checked “arrogance” is not a cause for petition of relief or dismissal. Seriously, I appreciate your relating Ms. Stanley’s summation, but as an ignoramus….I just don’t understand the subtleties. I realize the other wild equine litigation’s involve other issues (Ms. Leigh First Amendment, etc), but honestly don’t understand the peculiarities of each case for our wild ones. I thought part of the work those in Nevada were doing included improper EAs, etc and First Amendment issues….and we always lose. I for one applaud Judge Rosemary Collyer!!! She has the ‘RIGHT STUFF’! Maybe our illustrious President should appoint her to the Supreme Court! It seems as though she is the only one in the whole Justice system that has their head on straight!! Jill, if you really “knew” Hillary, I think you’d change your mind on wanting her for President. Just remember “she’s” part of Obama’s cabinet that is set out to extinguish all of the Wild Horses and Burro’s. Way to go Advocates! Give it up BLM. It is slightly reassuring that one judge finally seems to agree with us. As with many others, I don’t understand why so many have closed their eyes and ears to the bigger picture. It looks like we’ve won this round, but there are many more ahead. I don’t think that just by changing administrations everything will automatically get better. Change does not guarantee improvement. Personally, I doubt that President Obama has much direct impact on our wild horses. I agree that maybe he could fire Salazar and Abbey (can he?) and appoint a more sympathetic pair, but as citizens, we should be enlisting our Senators and Representatives to speak for us. Great news to end my day. Thanks to all who have worked so hard for this. I just know things are going to turn around in favor of our wild horses and burros. One little step at a time, Barbara, one little step at a time…. I truely believe God is hearing our prayers. Thanks for the good news. Great news , somehow i missed this yesterday, Finally a judge who respects Our Wild Mustangs, a true American Judge , I knew there had to be at least one …….. Thank God !!!!!!! The West Douglas case is fascinating and been in the works for quite some time….LONG TIME, VERY LONG TIME. Judge Collyer is remarkable in the face of our other judicial results and pleas. What great news! I hope this is just the beginning of great gains and wins for our wild horses and the demise and elimination of the BLM and their horrible employees that feel the elimination of these beautiful animals is the right thing to do. May they all go to he__ in a bread basket. God Bless all of you that have worked so hard to achieve this — may it be the first of many happy winnings to come. This news made my day. I think God is helping us to achieve what we have been fighting for these majestic animals. May God protect each and every one of them to find their way to their home ranges or if a domesticated horse, to a new loving home. And my heart has a small ray of hope!! thank you RT and all who made this victory possible!! Is anyone going to and documenting the 7/1/11 Kiger roundup or Riddle roundup in Oregon?? Horses are bieng removed to 33 horses in Riddle, 51 horses in Kiger, this is not genetically viable. WTH?? Roger that…hang with us we will know more after the hearing next week. Some GOOD NEWS for a change! Thank you RT.